Escape to one of Southern California’s most Luxurious Spa resorts, Miramonte Resort & Spa. 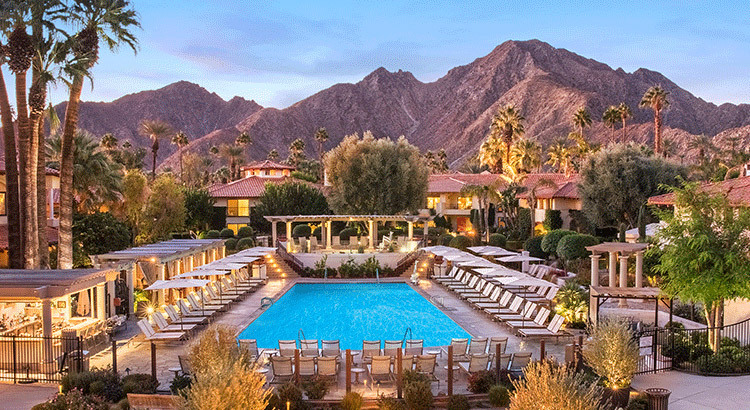 Located in the heart of the Palm Springs Valley in beautiful Indian Wells, the resort boasts luxurious hotel accommodations in a unique, Mediterranean village inspired setting. This is also an excellent location if you are looking for world-class golf and tennis, all while enjoying captivating views of the Santa Rosa Mountains. Be swept away by romantic architecture, Italian fountains, fine-crafted stonework, tranquil piazzas, exceptional luxury spa facilities and impeccable service. Nestled at the base of the Santa Rosa Mountains, views throughout the resort are awe-inspiring, serving as an impressive backdrop to Palm Springs’ most luxurious resort. 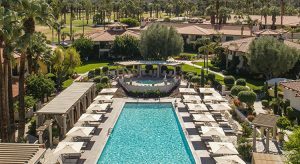 Palm Springs Vacation Discounts highlights the best vacations packages to Palm Springs and the surrounding California desert resort cities of Rancho Mirage, Palm Desert, Indian Wells, La Quinta, Indio and Cathedral City.